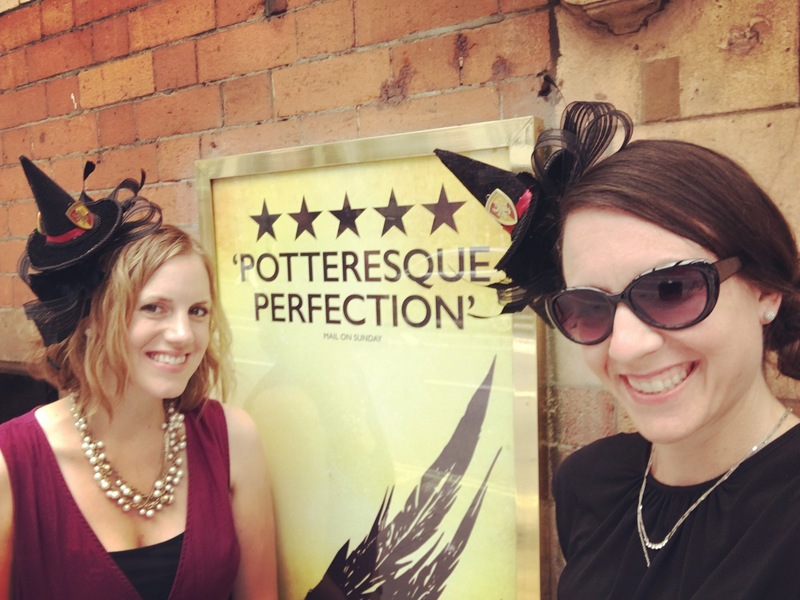 When the play was first announced, sometime in 2015 (long before we knew we’d be moving to London), M and I signed up for the emails about the show, to find out when tickets would go on sale. We followed all the rules they laid out about how to get into the queue to buy tickets online, which involved registering by a certain day and I don’t remember what else. Then at the moment they went on sale, I sat at my computer and crossed my fingers and waited for my turn to purchase. Apparently the number of people trying to buy tickets in the UK was so high it crashed the site there, but I think because I was in America, and not as many people were trying to get tickets to a show in London, I got lucky. I was able to purchase six tickets for when it was in previews in June 2016. Then I emailed M’s family and said, Who wants to take a vacation to London next June?? So we planned a trip here before knowing we’d be moving here just a month later, all around seeing this play. And it was worth the trip. It’s in two parts, a little shy of 3 hours each, and you have the choice of seeing Part One one evening and Part Two the next evening, or Part One at a 2 p.m. matinee and Part Two the same day at 7:30 p.m. Yes, nearly 6 hours spent sitting in a theatre seat. Yes, it’s worth it. But my No. 1 recommendation is DON’T READ THE SCRIPT FIRST. It will ruin all the plot surprises for you. If you think that at any point you might see this play (it’s coming to Broadway next year, I think, so certainly it will go on tour across America at some point), do yourself a favor and just wait and not spoil the story by reading the published script. For one thing, the script is just the dialogue. It’s not like one of J.K. Rowling’s novels, where the descriptions set the scene for you. I read it after it was published last July, and I think it would be a disappointing read for someone who has read the HP books. 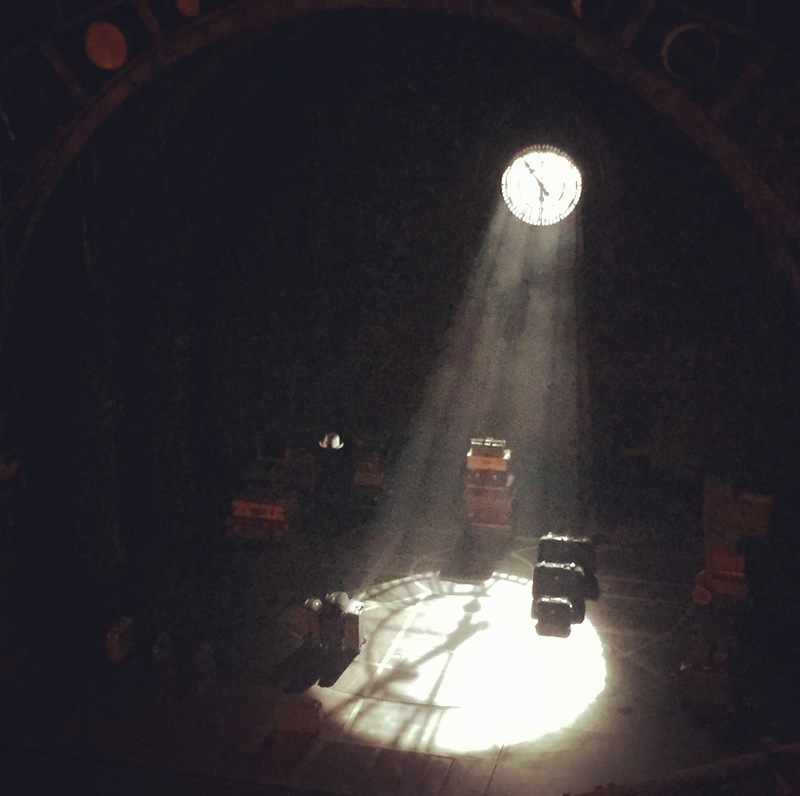 When you see the story unfold on stage before your very eyes, with special effects and props and music, the effect is simply magic. I was spellbound. 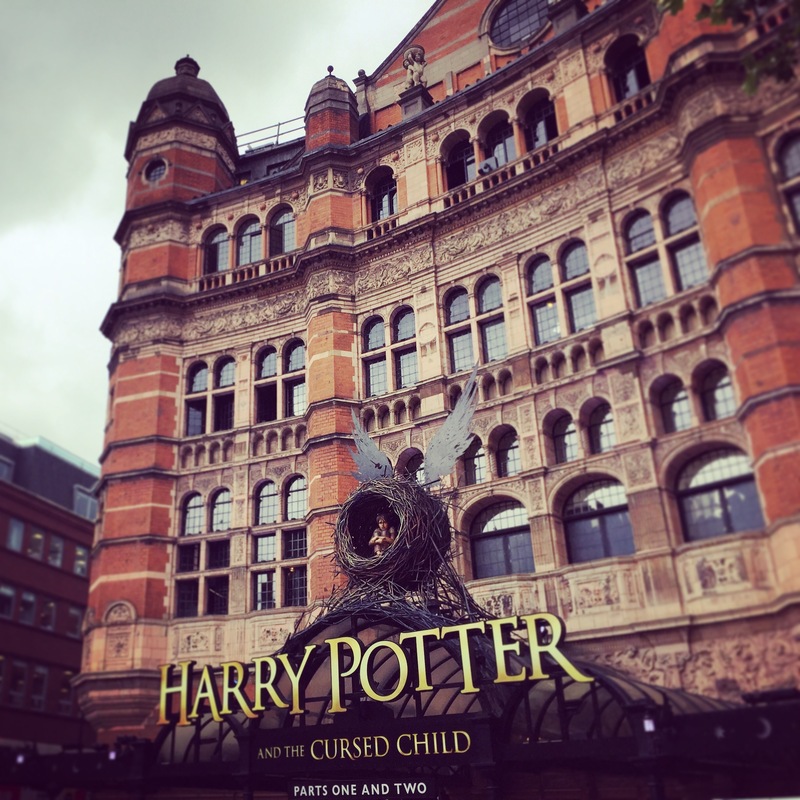 So when my friend Amber wanted to try to get tickets when the next round were released for this year, and asked if I would go see it again with her, I said absolutely! 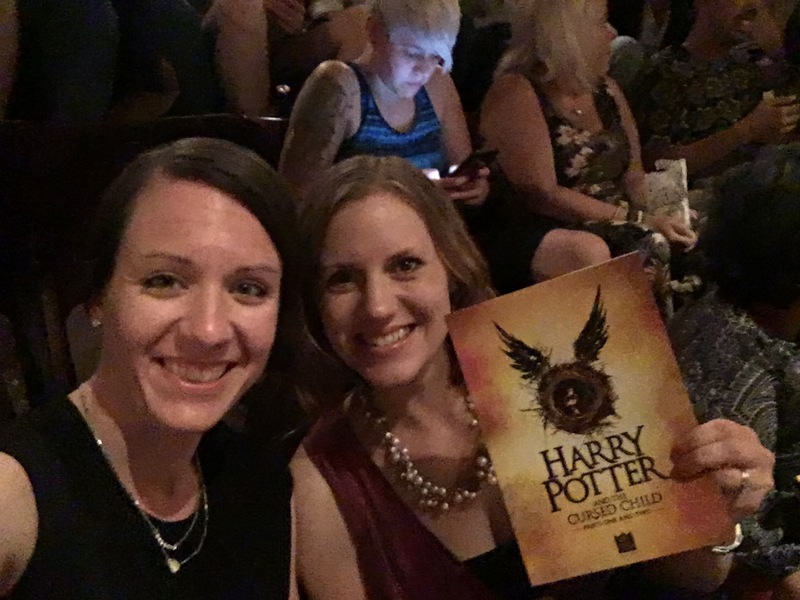 Only a few original cast members are still in it a year later, but it was just as wonderful as I remembered. I’d even forgotten a few things and so was captivated all over again. It’s just a joy to watch. I also took the opportunity to reuse the Butterbeer cups I got at the Warner Bros. Studio Tour. 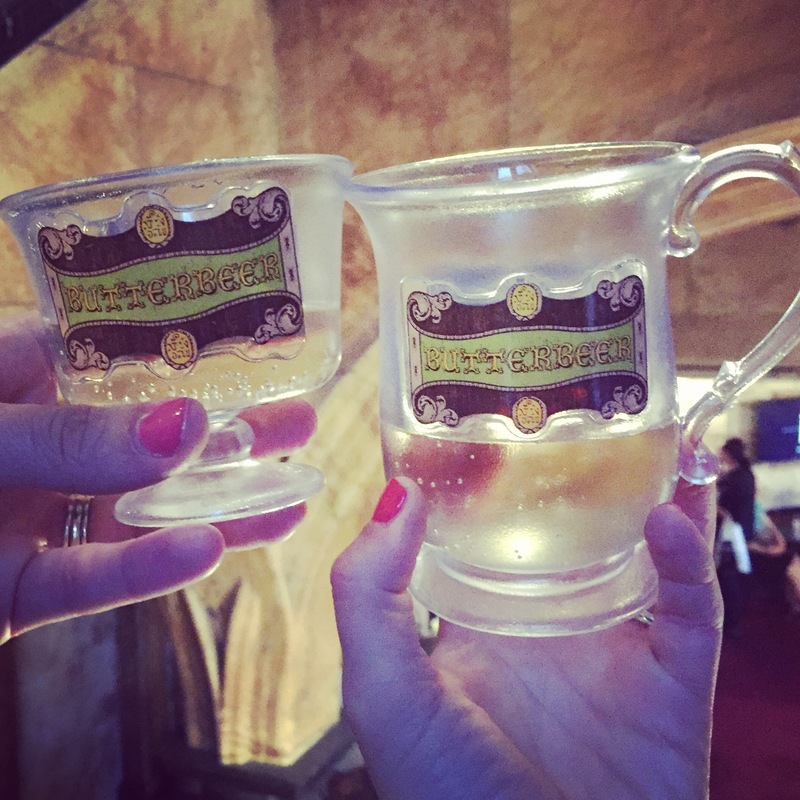 They don’t sell Butterbeer at the theatre bar (major oversight, if you ask me), so that’s champagne. 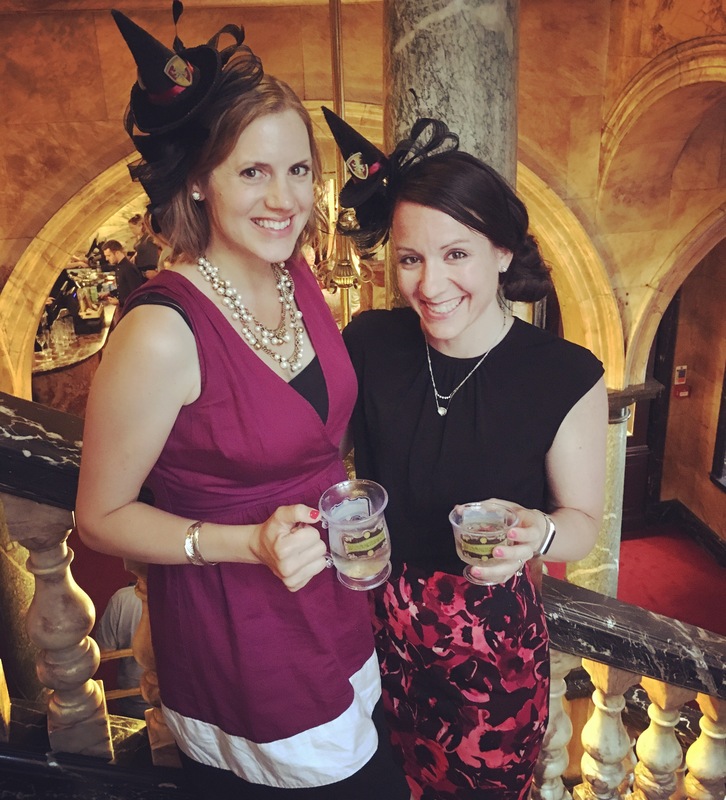 Thinking about selling Harry Potter fascinators on Etsy… who wants to buy one?